TeleEye timeMAX Solution 2.0 is our latest innovation especially designed for longer recording time. With the combination of TeleEye GN Series DVR and MP Series Cameras, you can have a real time recording of 1080P videos for up to 277 days. TeleEye timeMAX Solution 2.0 supports 10TB x 8 hard disks as well as our enhanced H.265 video compression technology , in which the video compression is 30% more efficient than the standard H.265. Together with TeleEye's newly-developed Dynamic I-frame Technology (D.I.T), it further extends the storage of about 25%, enabling a maximum recording time of about 9 months (277 days) to be reached, while the most commonly found products' in the market is only about 2 months (65 days). 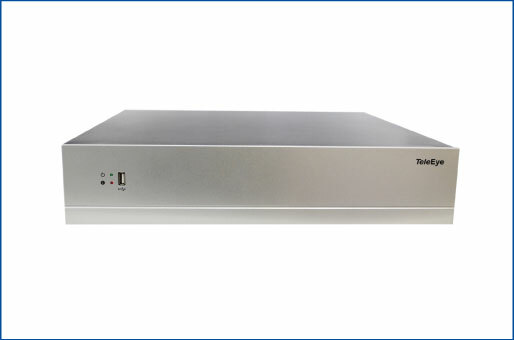 TeleEye timeMAX Solution 2.0 supports 10TB x 8 hard disks. A large data storage size of up to 80TB enables a much longer recording time. TeleEye timeMAX Solution 2.0 provides excellent video quality. 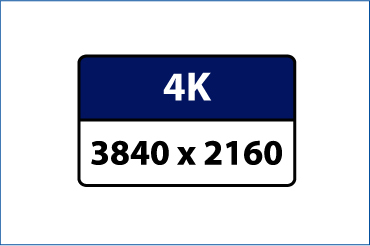 The resolution of your recordings can be up to 4K resolution (3840 x 2160). 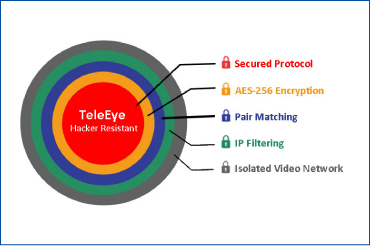 The TeleEye Hacker Resistant Technology is incorporated in the TeleEye timeMAX Solution 2.0, which shields off hackers' attack via the internet through 5 Layers of Protection: AES 265-bit encryption, specific IP access, secure protocol, pair matching architecture and isolated video network. 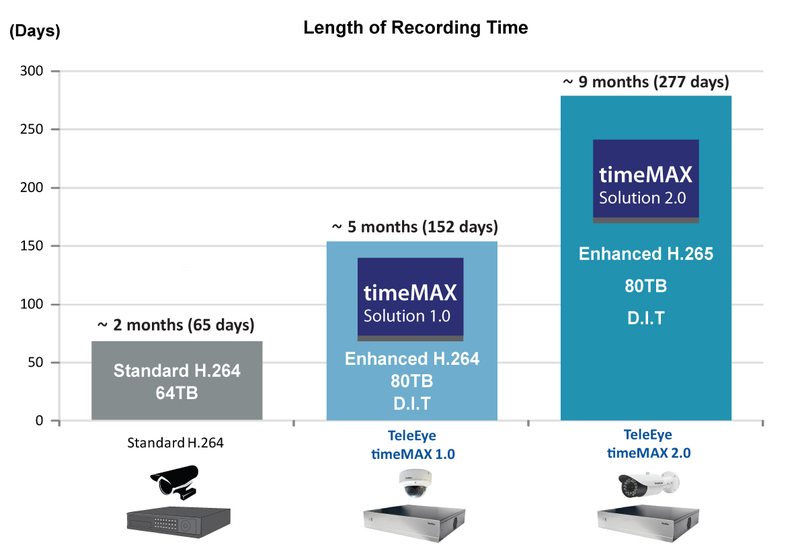 TeleEye timeMAX Solution 2.0 provides an all-in-one storage system. In which, the data storage is installed within the digital video recorder to eliminate the need of an additional external NAS and computer. TeleEye timeMAX Solution 2.0 integrated with the our dedicated Dynamic I-frame Technology, which will automatically adjust the frequencies of I-frames and P-frames according to the motion sequence of the scene, thereby enabling more data storage for a longer recording time. TeleEye timeMAX Solution 2.0 supports the Enhanced H.265 Video Compression Technology, in which the compression is 30% more efficient than the standard H.265 without the sacrifice of the video quality. Why use TeleEye timeMAX Solution 2.0? Most of the digital video recorders found in the market support H.264 with storage of 12TB hard disk size, which results in a very limited length of about 2 weeks recording time. 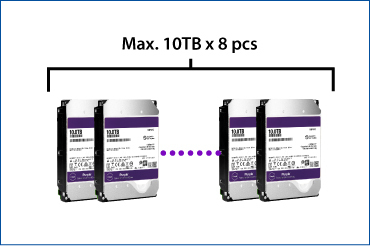 Even if some bigger recorders supporting greater storage as large as 64TB are installed, the maximum recording time can only be up to 2 months. With TeleEye timeMAX Solution 2.0, you can have the longest recording time ever! TeleEye timeMAX Solution 2.0 supports 10TB x 8 hard disks as well as our Enhanced H.265 video compression technology, in which the video compression is 30% more efficient than the standard H.265. 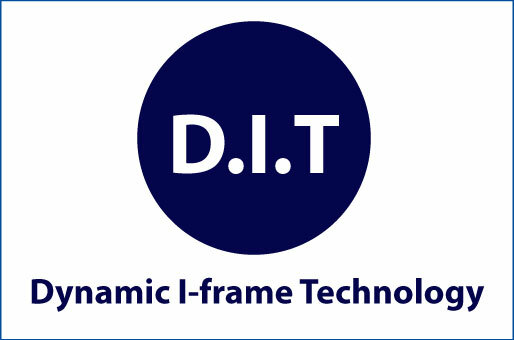 Together with TeleEye’s newly-developed Dynamic I-frame Technology (D.I.T), it further extends the storage time of about 25%, enabling a maximum recording time of about 9 months (277 days) to be reached, while the most commonly found products in the market is only about 2 months (65 days).